Chic-fil-a has a seasonal (summer) peach shake that rocks my world every time I have one. You see, my grandma used to ‘can’ (preserve) peaches in the fall and freeze them for future consumption. It would be the dead of winter and she would take out a couple jars of fresh peaches and make a peach shake for me. What an incredible treat to have a summer delicacy in the long, cold, dark days of winter! Nothing like it in the world. I miss that and I miss her. But the peach shakes continue to live on in my life and bring back the memories of a wonderful, older person in my life. We all have memories of people from a different generation than ourselves. It might be a grandparent, a teacher, a child, client, or any other myriad relationships that take place across age groups in our lives. It’s relationally challenging to interface with someone from a different age group than you. Since the span of time between the generations has increased (we’re living so much longer these days), the need to know how to relate has also increased, and is never more urgent. 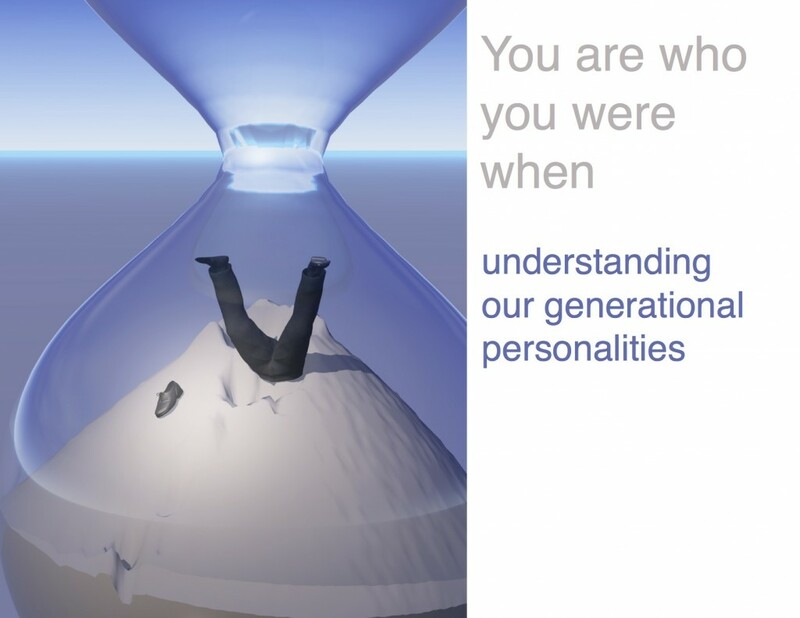 I have presented on generational issues for over 15 years and have compiled a series of lessons through an ecourse on understanding the different age groups along with strategies on how best to relate. It then explores the pervading beliefs that have emerged to give each generation their unique personality. The ecourse has over 12 video lectures with over an hour of content. It also has worksheets and the chapters for a complete ebook on the subject. I’ve marked down the price to a manageable $27. That’s about the price of a hard cover book on the issue that you probably wouldn’t read anyway. It can be taken at your own pace and in your own time frame. Strategies to effectively relate across the age groups. An ability to laugh at yourself and your foibles. You can interact with other learners who are also taking the course.